With its new DirecTV Now streaming service, AT&T is coming after cheapskate cordcutters in a real way. The service launches tomorrow, and for an introductory period, it will offer more than 100 streaming channels for $35 a month. But is it a good deal? We’ve compared the lowest cost DirecTV Now option against similarly priced options from PlayStation Vue, Sling TV, and Comcast to see which service offers the best value. DirecTV Now is the first fully online TV service from a major provider, and for that reason alone, it’s a big and important step. But is it good enough to get the 20 million people who don’t pay for TV to consider forking over their money? Despite its flashy launch on Monday, AT&T still hasn’t been able to offer an official lineup of what channels its various plans (they range from $35 - $70 a month) will actually include. Still, I was able to get this brochure from a spokesperson, which gives a good idea as to most of the channels DirecTV Now will be offering. I expect sports channels and some stations you’ve never heard of will take up the remainder, because that’s what happens in the traditional pay TV world. As you can see from the list, most of your major cable networks are covered, as AT&T has successfully made deals with nearly every channel in the universe. For the $35 a month plan (this is an introductory rate that it will go up to $60 after an unspecified time), you get a broad access to cable networks, including ESPN, Fox Sports, MTV, CNN, AMC, TNT, MSNBC, E!, Syfy, FX, Sundance, IFC, and CNBC. This channel offering is more or less the same as what you get from the $40 plans from both Sling and PlayStation Vue. The $35 a month plan even does well compared to a basic cable package. Comcast offers a Digital Starter pack for $50 a month for the first year (it is $70 a month after). That price does not include equipment or local channel fees—and you can often get s better deal with an internet or phone bundle—but it includes access to 140 channels. Still, there are definitely some missing gaps in DirecTV Now’s offering. There is no CBS (AT&T says it is working on a deal), which is still the country’s highest-rated broadcast network. If you want to watch NCIS or The Big Bang Theory, you’ll need to shell out for CBS’s All Access digital service. And though HBO and Cinemax are available as add-ons for $5 a month each, Showtime is not available. Again, if you need Showtime (The Affair is a really good show), you can get it as a separate service (through its own interface) for $11 a month. One of the major weak spots for most online TV services is access to local channels. Because of differences in how local stations work, getting licensing deals for the country is difficult. AT&T has secured licenses for ABC, NBC, and Fox in owned-and-operated markets, which means places where the broadcast network owns the local affiliate station. So if you live in Los Angeles, San Diego, San Francisco, or New York City, you’re going to get your local channels. But if you’re in a part of the country that doesn’t have an owned-and-operated station, you won’t be able to watch live TV on ABC, NBC, or Fox. Instead, DirecTV Now is offering video on-demand (VOD) access to programs the next day. This situation isn’t unique to DirecTV Now. PlayStation Vue offers at least some local channels in 37 markets, and Sling TV offers local Fox and NBC access in select markets too. Sling also has a separate package for people in certain markets to buy local channels. If you really want local TV and you don’t live in a place with owned and operated networks, your best bet is either regular cable or getting a good HD antenna. 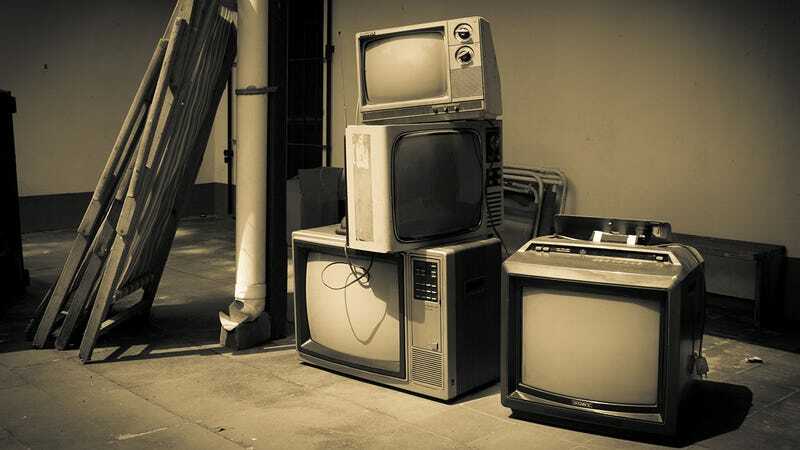 If you’re going to subscribe to an online TV service, you should be able to watch TV on more than one device at once. DirecTV Now offers two concurrent streams at once, meaning that, for example, you can watch TV on your Apple TV in one room and on your iPad or Android tablet someplace else. That’s a step down from both Sling TV and PlayStation Vue. Sling TV Blue subscribers can watch up to three concurrent streams at once. PlayStation Vue allows streams on up to five devices. With traditional cable or satellite, your streams are limited to how many cable or satellite boxes you want to rent each month. AT&T does allow its wireless customers to stream DirecTV Now service without it counting towards their data cap. That’s great for AT&T/DirecTV Now customers, but zero rating sets a dangerous precedent when it comes to net neutrality. What’s a TV service without being able to pause or fast-forward through live TV? TiVo came out nearly 18 years ago and going back to a pre-DVR world seems silly. And yet that’s what you’ll have to do with DirecTV Now, at least at first. Though AT&T claims that DVR features are coming in 2017, they won’t be there at the product’s launch, meaning now pausing through live TV and no cloud recordings. You will be able to access content on select channels on demand. PlayStation Vue and Sling TV both allow pausing of live TV on most channels. PlayStation Vue also has a cloud DVR included in its service, and Sling TV is beta testing its own cloud DVR service beginning December 1. With regular cable or satellite, you pay for your DVR service, often as part of the equipment rental for your cable or satellite box. Out of the gate, DirecTV Now will support Apple TV, Amazon Fire TV, Fire TV Stick, web browsers, Android, iOS, Chromecast, and Google Cast TVs. In early 2017, AT&T says support will come to Roku, Samsung smart TVs, and Amazon Fire tablets. You’ll get similar device support from both Sling TV and PlayStation Vue. PlayStation Vue is available on Roku, PlayStation 3, PlayStation 4, Apple TV, Fire TV, Fire TV Stick, Android TV, Chromecast, and via PlayStation Vue mobile apps. Sling TV is available on Roku, Apple TV, Xbox One, Chromecast, Amazon Fire TV, Android TV, Android, iOS, macOS, and Windows 10. DirecTV Now offers HBO and Cinemax for $5 a month each, which is a considerable discount from the $15 HBO usually charges for HBO Now or as an add-on to other subscription services like PlayStation Vue or Sling TV. And although DirecTV Now has a lot of sports channels, including all the ESPNs, the MLB channel, the NHL network, etc., if you want NFL Sunday Ticket, you’re out of luck. That remains a DirecTV satellite exclusive. AT&T says it is looking at bringing that package to over the top (OTT) bundles in the future, but we imagine that will take more negotiating. DirecTV Now is also offering exclusive content from Taylor Swift (she gets her own channel, Taylor Swift Now) and Reese Witherspoon (she also gets her own VOD channel, Hello Sunshine). There will also be content from AT&T’s partnership with Fullscreen available, and users can pay $6 a month to subscribe to Fullscreen in addition to DirecTV Now. DirecTV Now’s introductory rate of $35 a month compares well to the basic prices of Sling TV and PlayStation Vue. That price, even with the two stream limitation and lack of guaranteed local channels, is going to be compelling to a lot of cord cutters or potential cord cutters. But that’s just an introductory price. AT&T won’t say how long its introductory pricing will last, but the price for the 100+ channels option will eventually jump to $60 a month. A cheaper $35 a month plan with 60+ channels is available, as are packages for $50 and $70. Sling TV starts at $20 a month, but for that price you get very few channels. The Sling Orange and Blue plan at $40 a month is going to offer many users a better content selection. PlayStation Vue starts at $40 a month and goes all the way up to $75 a month, putting it clearly in cable territory. Still, even at the most expensive price points, DirecTV Now is cheaper than cable. I pay $130 a month just for cable, including DVR and cable card fees. Granted, I get over 450 channels and that includes HBO, Showtime, Starz, Cinemax, and other movie channels I rarely watch. But the point remains that cable is still pricey. But since most consumers don’t pay over $100 for cable, the potential $60 price point isn’t going to necessarily going to save people a ton of money. We haven’t had a chance to check out DirecTV Now—it launches tomorrow—but right now, it looks like a good first attempt to enter the online TV waters from major pay TV provider. And honestly, that’s the most exciting thing about DirecTV Now. For $35 a month, it might be worth giving a shot—especially if you don’t have a huge family. Right now, it has the best channel/price ratio of any of its competitor. Still the service still has some holes, especially when it comes to DVR.